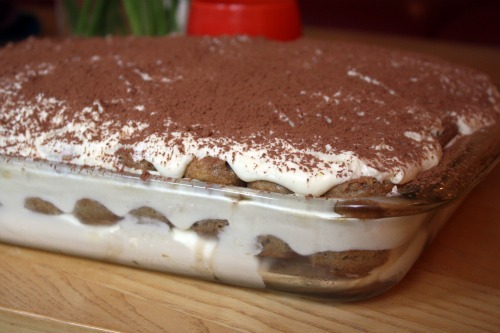 I have never made a Tiramisu (“pick me up” in Italian), because of all the raw eggs in it. I need to get over that, because I love it!!!!! Love this dessert. Perfect for feeding a crowd! Brilliant! White Chocolate Tiramisu is so great, especially in summer with some sliced strawberries on top. Yum! Tiramisu is one of my favorite desserts, and this recipe looks like it could quickly become a new favorite. The addition of white chocolate is brilliant! 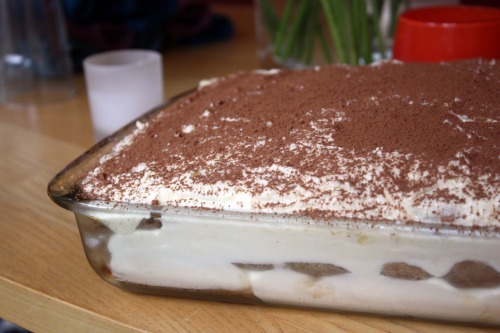 Tiramisu is one of my absolute favorite desserts and I’ve made it once, with a much less involved recipe than this. You kind of sort of had me at white chocolate, though. So I’m going to have to make this the next time I have an entire day ahead of me and am not stressed out or distracted at all in the slightest. SO basically…next summer? That is a lot of mixing! But, it looks completely worth the effort. I love white chocolate, and I’m a little afraid of how much of this lovely dessert I’d consume. This looks great! 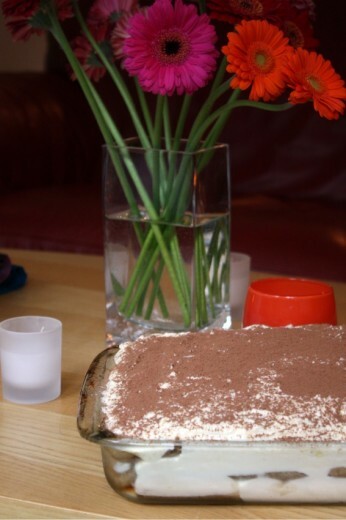 I LOVE tiramisu…I tried a tiramisu martini the other day and boy was it delicious!